Description Shell trochiform, wider than high, spire low. 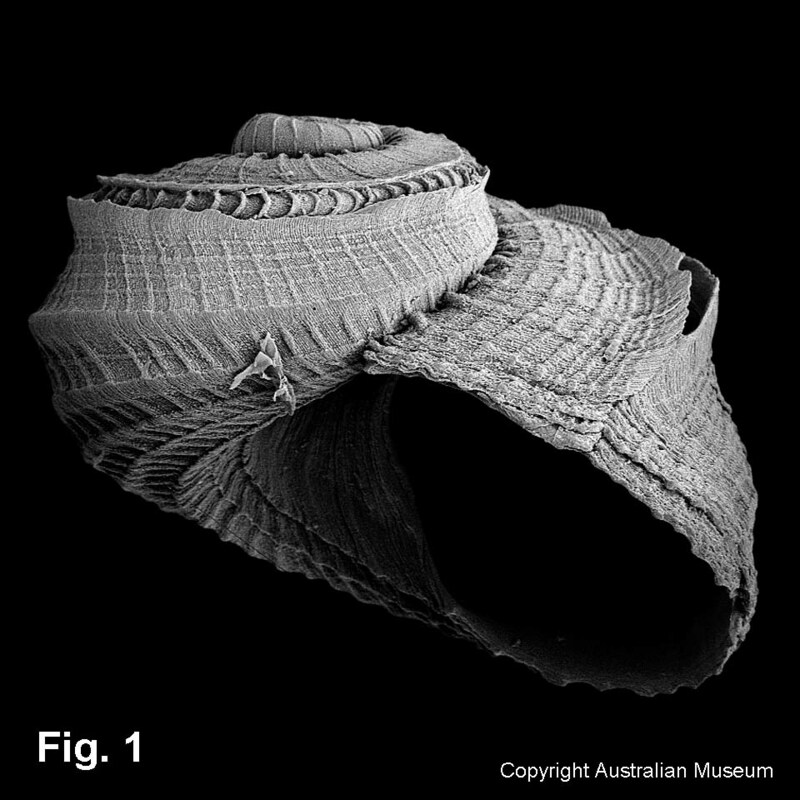 Protoconch almost one whorl, inner half smooth, outer half flocculant. 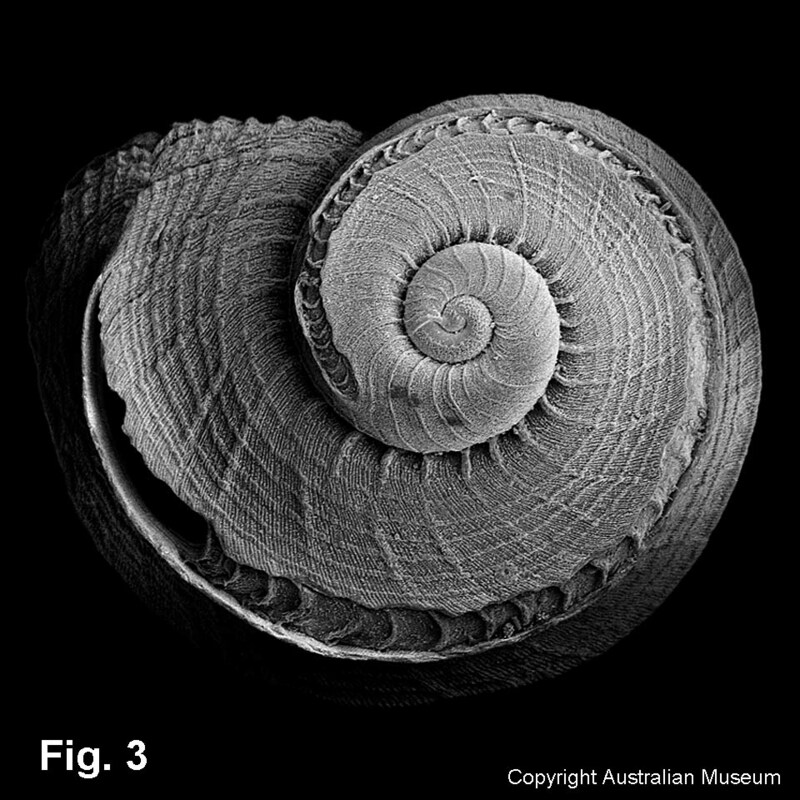 Teleoconch above selenizone flat or concave with moderate to very weak axial threads and weaker spirals towards margin. Below selenizone, 8 spiral ribs and weak axial growth lines; uppermost rib strongest, rest progressively weaker towards umbilicus. Foramen one-quarter whorl before margin, above periphery, selenizone behind foramen, with moderately raised flanges; length of selenizone plus foramen up to 1.3 whorls. Umbilicus open, narrow, with bordering keel, interior wall making an angle with base. Operculum corneous. Shell colour white. Size: Up to 2 mm in height. 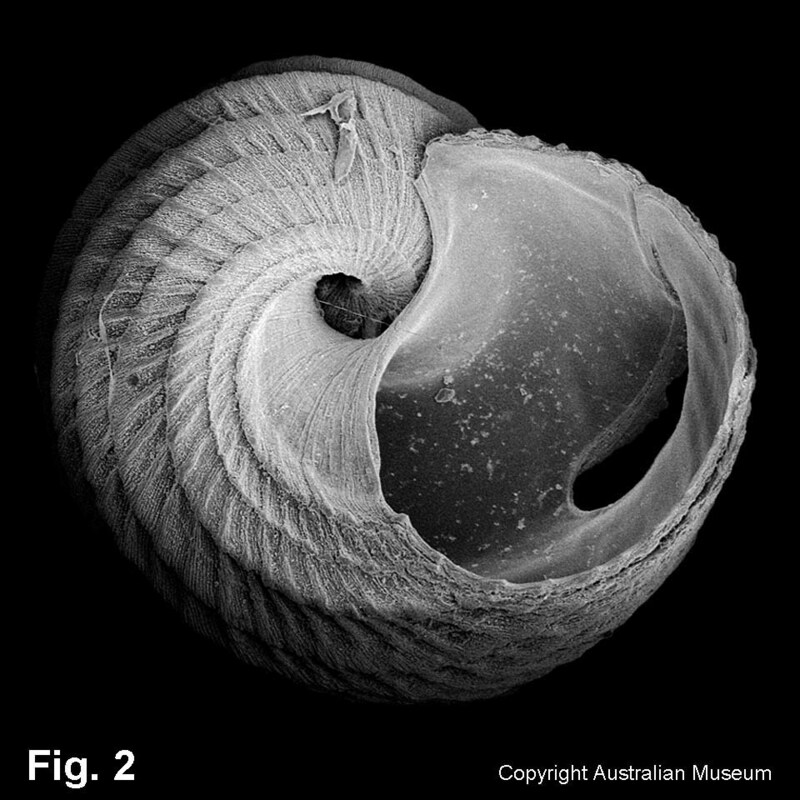 Distribution: Endemic to Australia; Cape Byron, NSW, to south-western WA, and possibly to north-western WA. Habitat: Known from beach specimens, shallow water algae washings, and down to 165 m. Common. Comparison: The genera Sukashitrochus and Sinezona have a closed foramen rather than an open slit at the margin. Suk. atkinsoni is much more common in NSW than Suk. pulcher, and has weaker sculpture. Sinezona pacifica differs from both by having strong axial sculpture. Synonymy: Schismope carinata Watson, 1886; Schismope tasmanica Petterd, 1879. 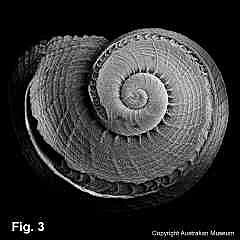 Remarks: In juvenile specimens the slit is open at the margin, becomes a closed foramen in the last quarter whorl of shell growth.